Brush script fonts amazing and renowned for the sense of artistic flow which they exude in the design. 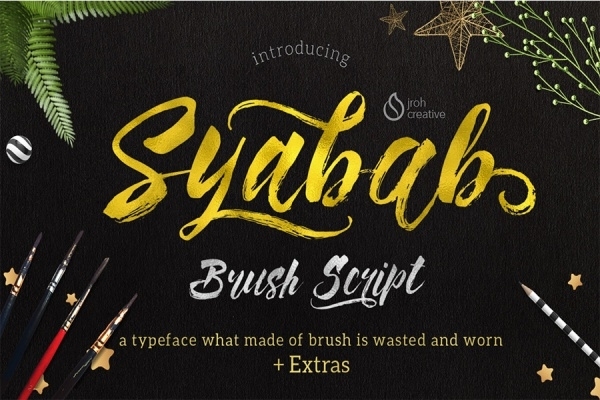 For brush script fonts enthusiasts, we’d like to introduce to you the Syabab Font. It’s a handmade brush script font which is very stylish because of its natural lines and curves, which collectively give the font its subtly bold appearance. This font is a fit for writing on posters, banners and t-shirts. Download in .TTF format and use in your projects! 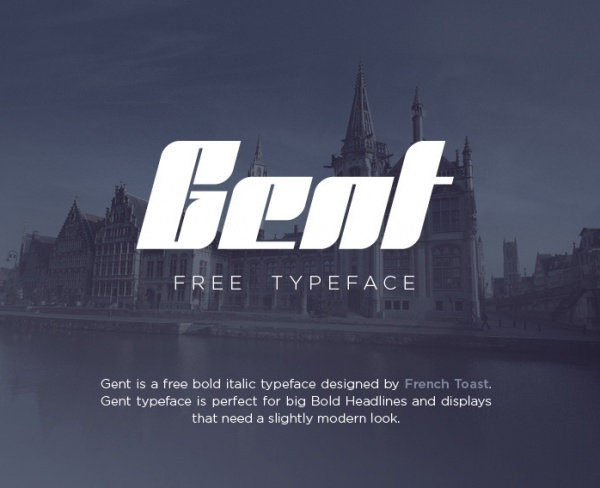 For those of you who are looking for a newly-styled font type in the italic-bold category, well, brace yourselves for the Gent Typeface Font. Designed by French Toast, this font has a unique bold typeface, which ensures that it gets the attention in the design. The Gent Typeface Font is modern and possesses a regular style. Thanks to its well-defined bold appearance, the font should most certainly be your pick for composing headlines and captions. 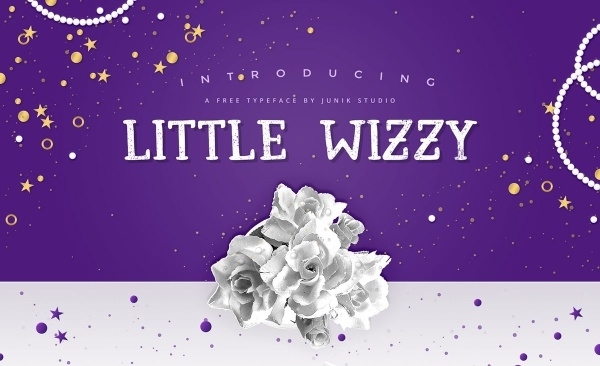 A creation of the Junik Studio, the Little Wizzy Typeface font is apt for anyone who is looking for a font which has it in it to catch the audiences’ attention instantly. The typeface is very simple, slightly bold, and mildly on the bold side, in terms of design and look – and that’s its USP. If you’re looking for a new font to use to compose headlines and quotes, the Little Wizzy Typeface font is the perfect fit. Download now and spice up your projects! Looking for a new set of decorative characters in a font? 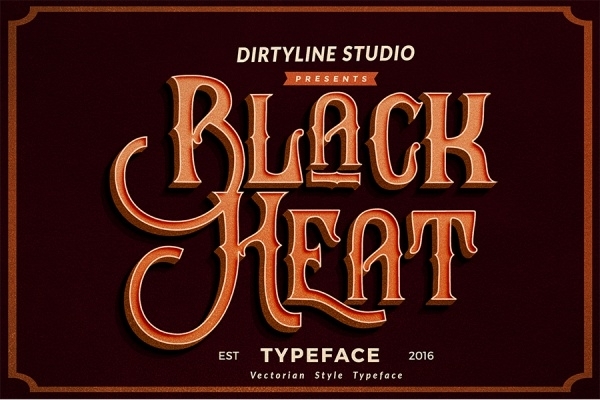 You must definitely check the Black heat font which we have for you here. It’s a beautiful font which boasts an influential mix of modern and vintage in its design. The characters have been crafted with a dancing baseline and that makes them look visually interesting. The font also has an alternative set of stylized characters. It’s compatible with all the major design platforms, so you shouldn’t think twice and employ it in your existing and upcoming assignments! If you’re looking for a new font which is a must-add in your library, we’d vote for Little Creator typeface font. This simple yet artsy font has all the makings of becoming a rage in the days to come. The font type is much uncomplicated and for good reason. The letterforms are very simple, designed with straight lines. 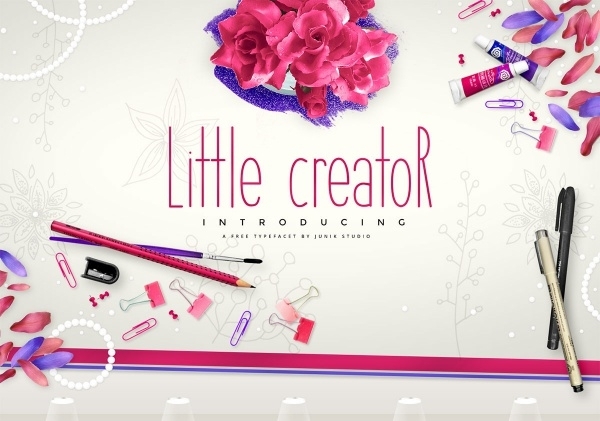 The Little Creator typeface font has letters in uppercase and lowercase, and has a numbers set as well. Worth a shot for sure!